I’ve been in South Carolina now for about five months. I left The Frederick News-Post in Frederick, Md. to join the ranks at the Herald-Journal in Spartanburg, S.C. and I couldn’t be happier here. That said, I am pleased to feel as if I made a true impact at my last newspaper. I learned Friday that two of my stories I had written in 2013 earned a first-place spot in the division for daily newspapers with 30,000 – 75,000 circulation. The MDDC Press Association annual awards banquet was held in Baltimore Friday. 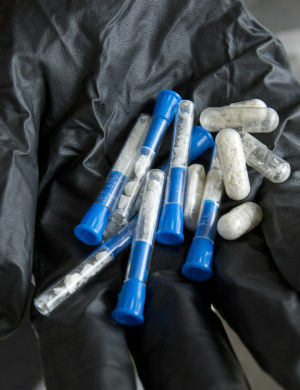 The first place article for General News Story was my in-depth look at the “War on Heroin” and how law enforcement is grappling with the drug’s trend. You can find that article here. My other first-place story was a bit of long-form journalism, the result of a 30-hour embed at one of the nation’s oldest and largest Catholic seminaries. 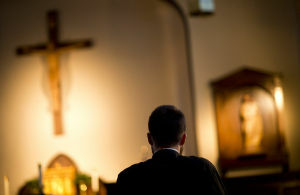 I dove into the life and calling of seminarians who are each on “The Path to Priesthood.” That story submitted in the Religion Reporting category can be found here. I am honored to receive such validation and I have the utmost appreciation for The Frederick News-Post in helping me foster those experience. I only hope to continue that fervor and keep my nose to the grindstone to see what else I can come up this year. ← Fighting crime with… iPads?